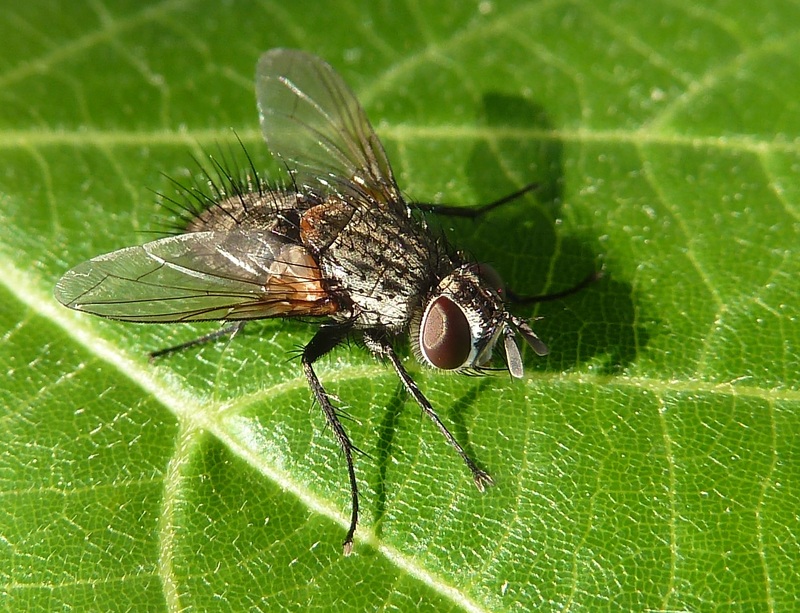 Tachinidae is a large and rather variable family of true parasitoid flies within the order Diptera, commonly called tachina flies or simply tachinids. 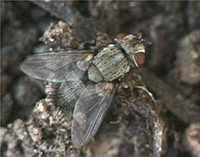 Reproductive strategies vary greatly between Tachinid species, largely, but not always clearly, according to their respective life cycles. This means that they tend to be generalists rather than specialists. Larvae (maggots) of most members of this family are parasitoids (developing inside a living host, ultimately killing it). Probably the majority of female tachinids lays white, ovoid eggs with flat undersides onto the skin of the host insect. 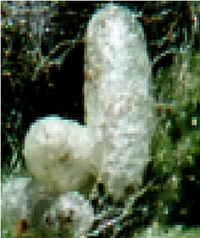 In a closely related strategy some genera are effectively ovoviviparous (some authorities prefer the term ovolarviparous) and deposit a hatching larva onto the host. The free larvae immediately bore into the host's body. 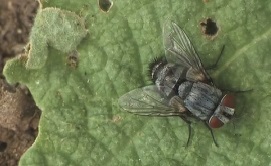 Many Tachinid eggs hatch quickly. Many other species inject eggs into the host's body, using the extensible, penetrating part of their ovipositor, sometimes called the oviscapt. 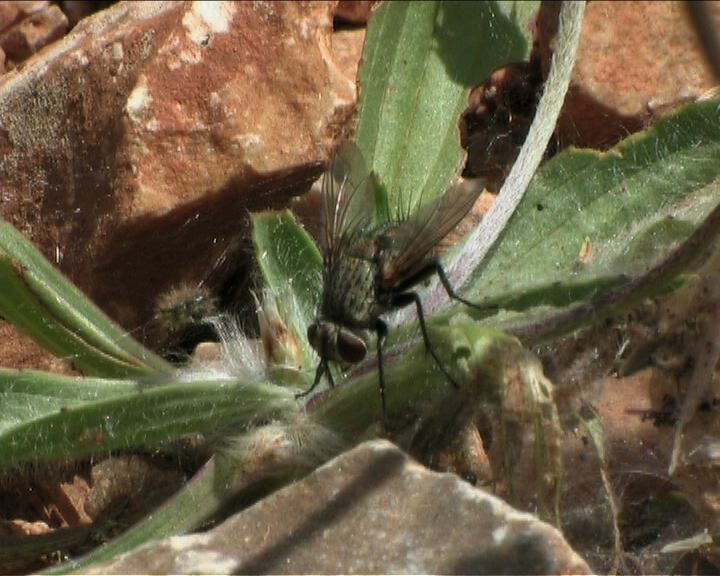 Yet another strategy of oviposition among some Tachinidae is to lay large numbers of small, darkly coloured eggs on the food plants of the host species. - Micro-eggs may be deposited on the tracks near the host plant. While eating the leaves the eggs are ingested and the larva emerges in the body. - Eggs are deposited on the skin of the caterpillar (ectoderm), which hatches and the larva gets inside its host. - Eggs are injected by an ovipositor (endoderm).